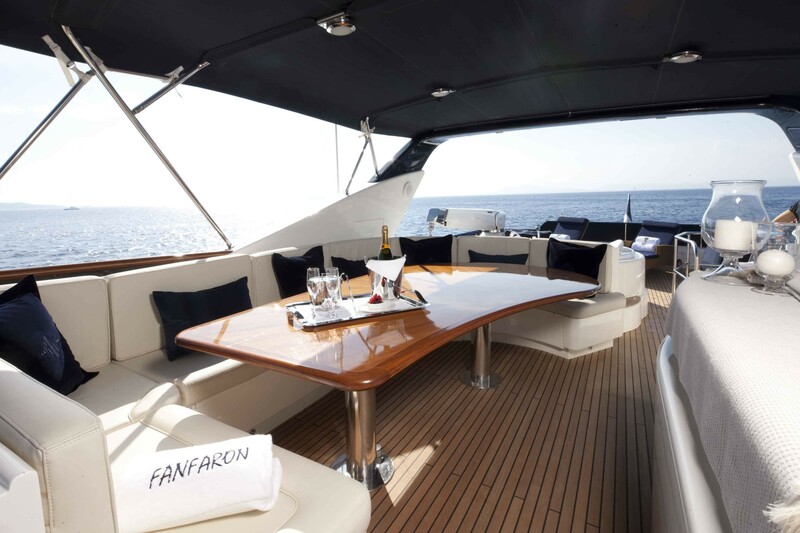 Charter yacht LADY AMANDA (Ex Revenge II, FANFARON) was built by Couach in 2006 and measures 30 meters (98.4ft), the yacht can accommodate up to 9 guests in 4 cabins and is available for charter in the West Mediterranean. 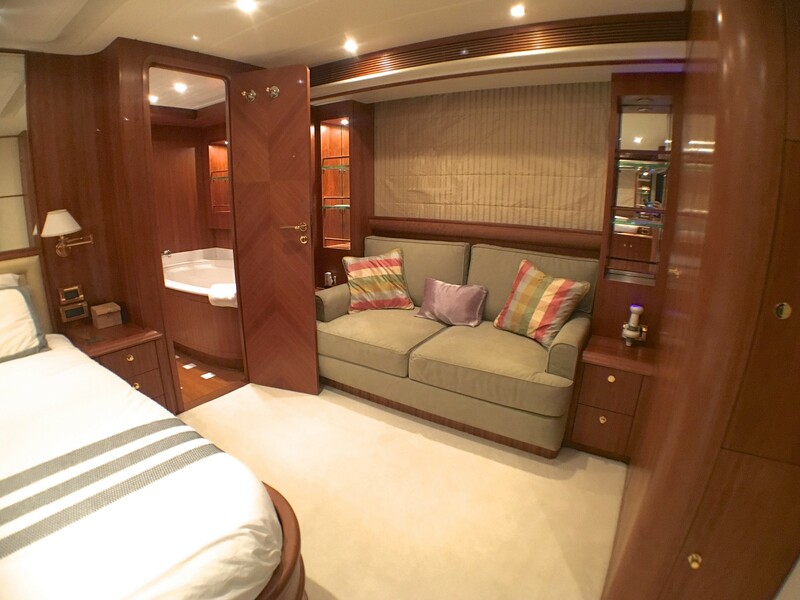 Motor Yacht LADY AMANDA has a clean and stylish interior, the salon is large with warm-toned wood floors and structure, with quality leather soft furnishings and a retractable flat screen TV/entertainment station; in an open plan, the formal dining space is forward all of which receives ample natural light through generously sized windows. 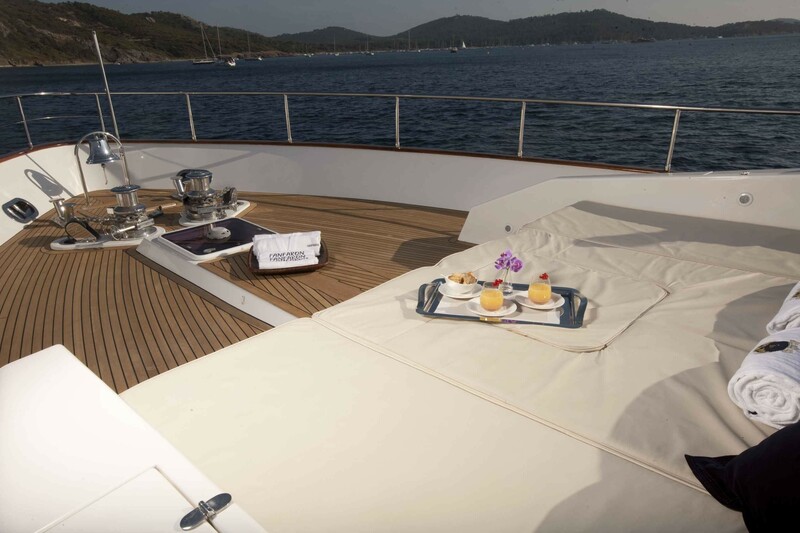 Luxury motor yacht LADY AMANDA provides guests with plenty of external living; the aft deck is shaded and offers an alfresco dining option, steps lead down to the extended swim platform allowing easy water access. 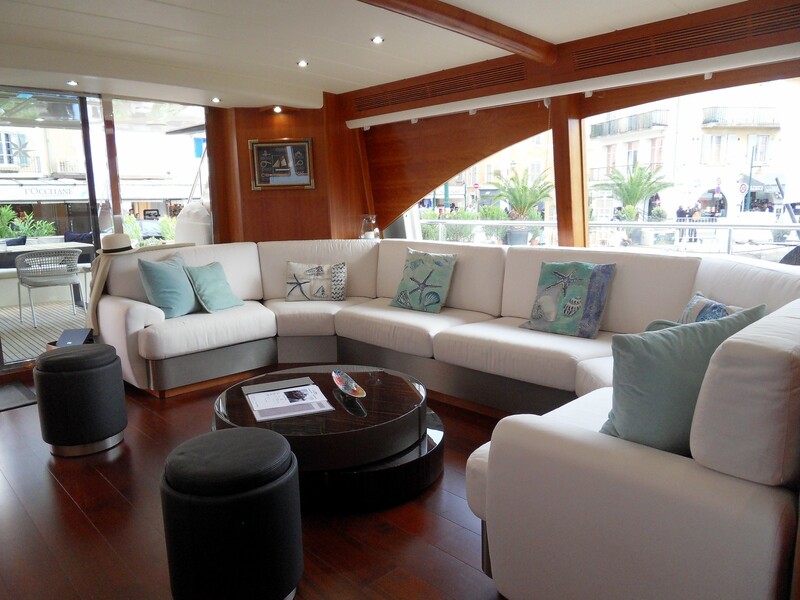 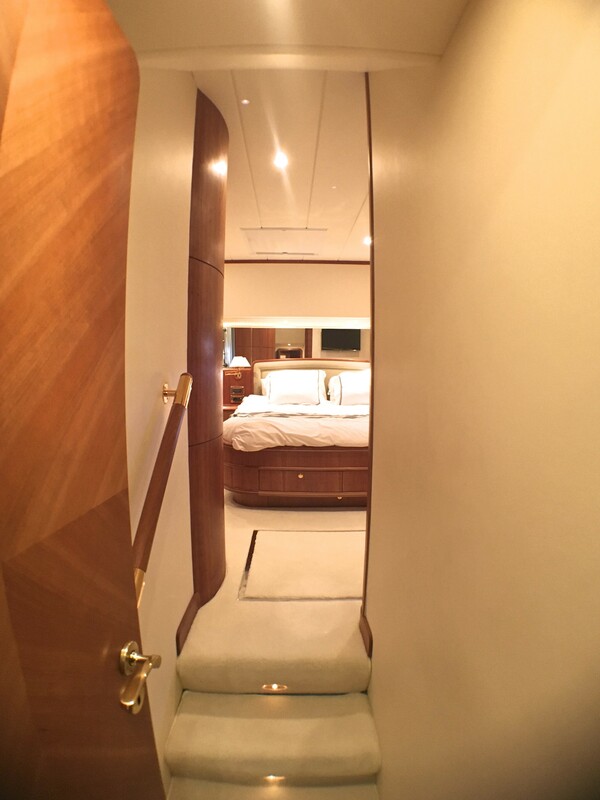 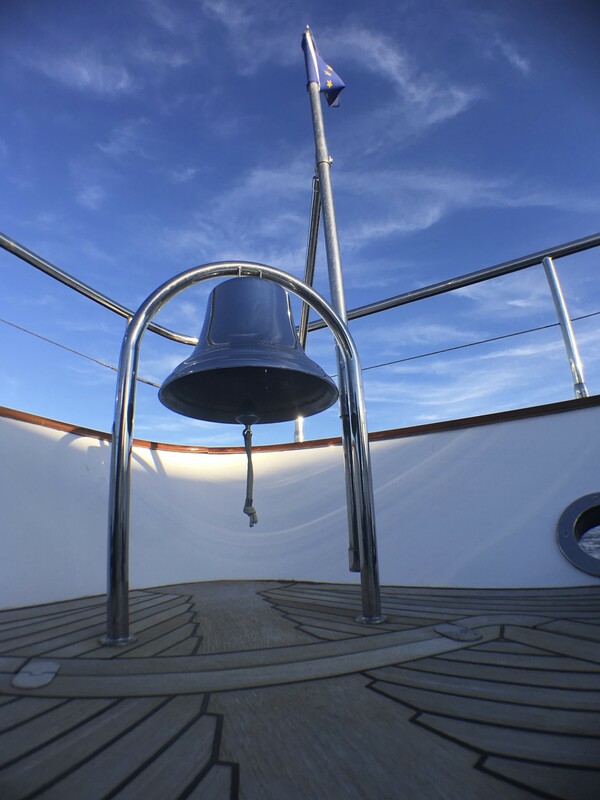 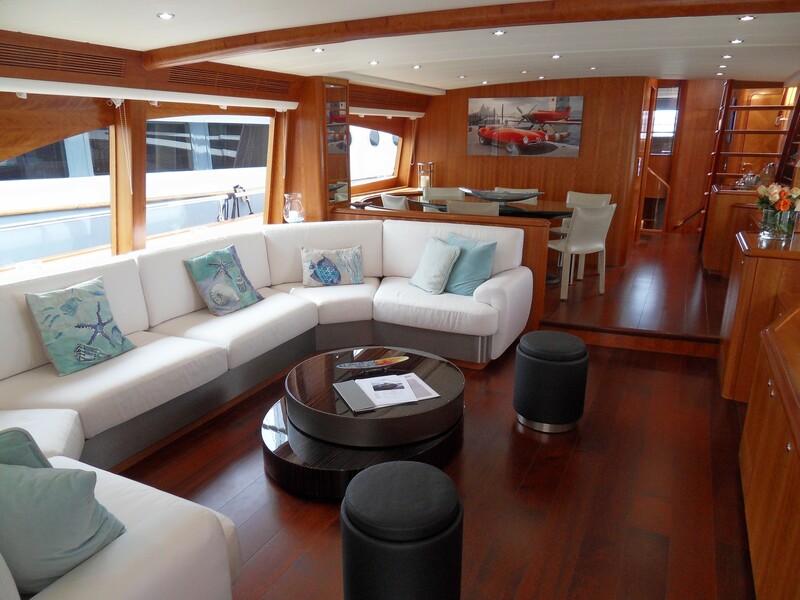 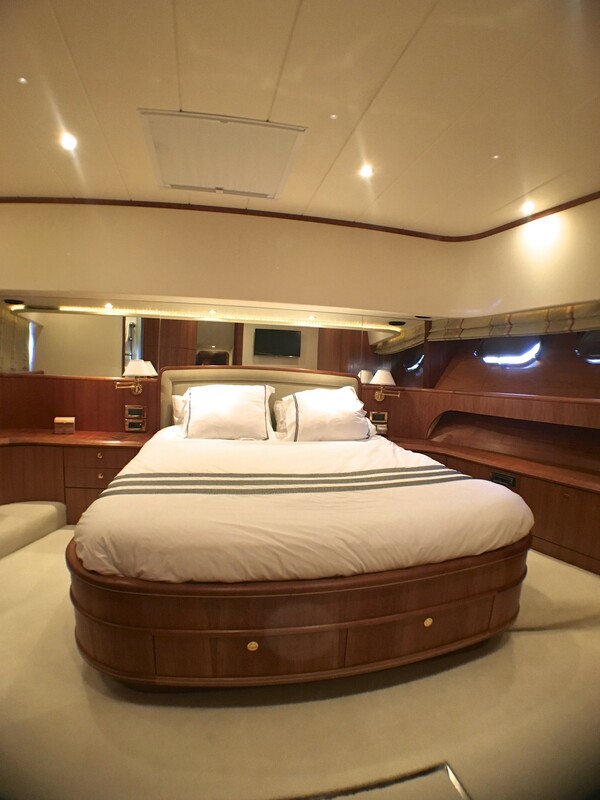 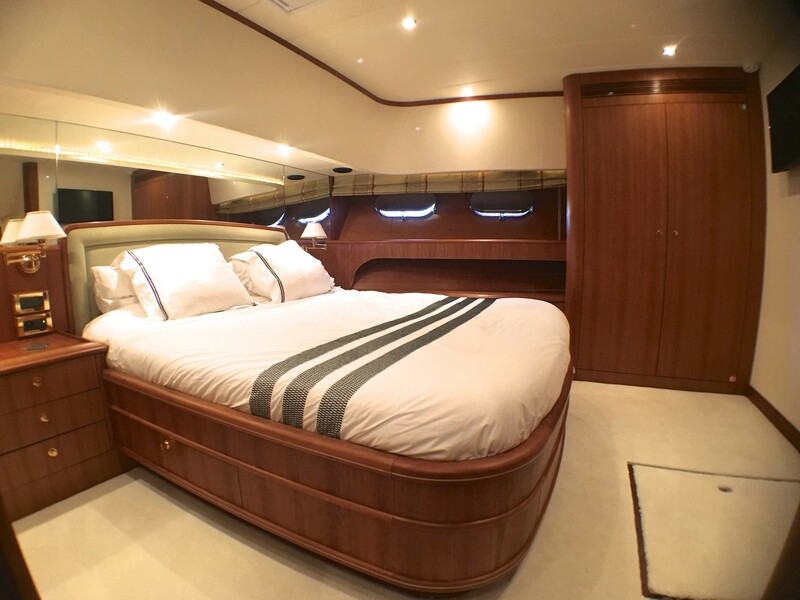 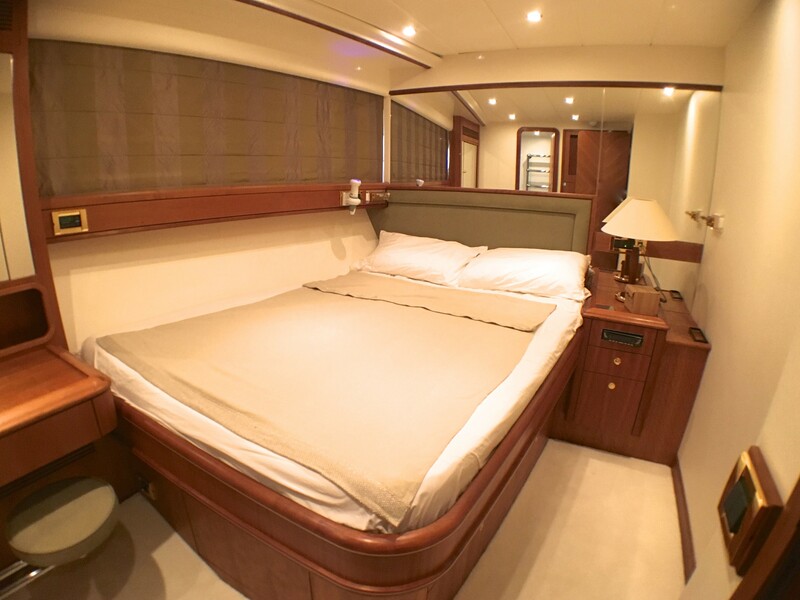 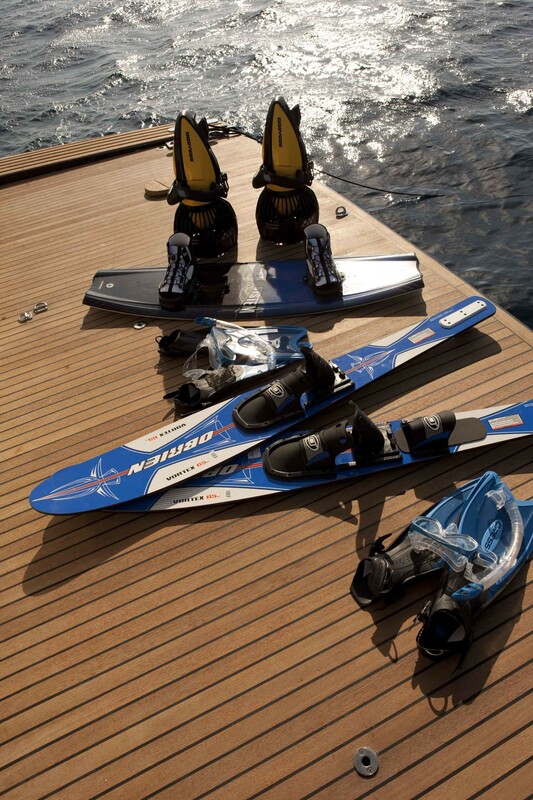 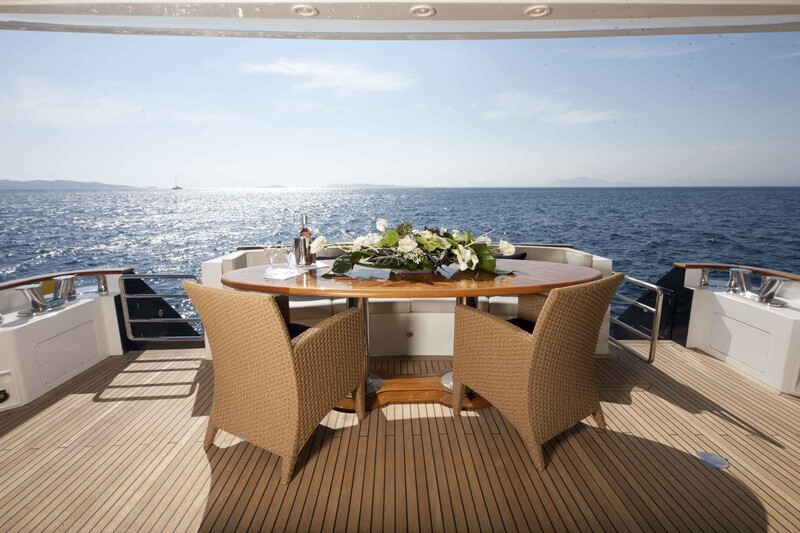 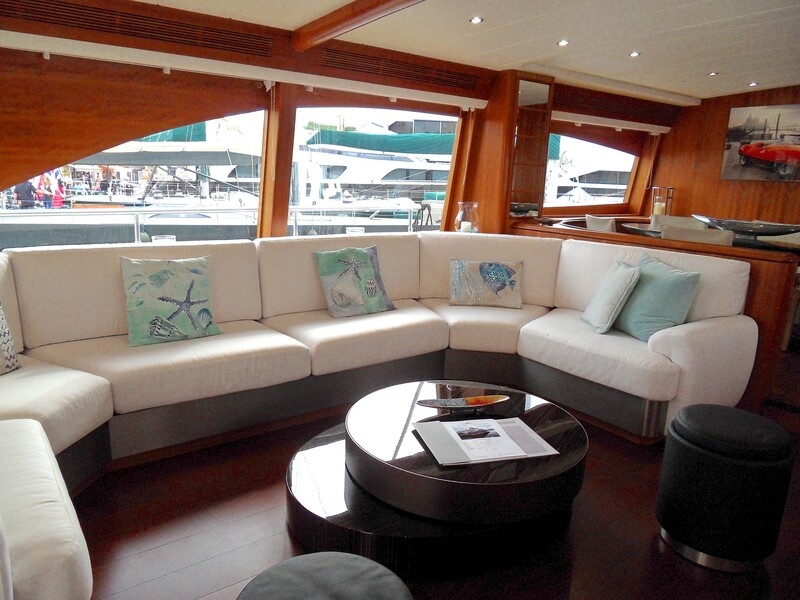 Side decks continue to the foredeck which offers a double sunpad, the perfect place to unwind. 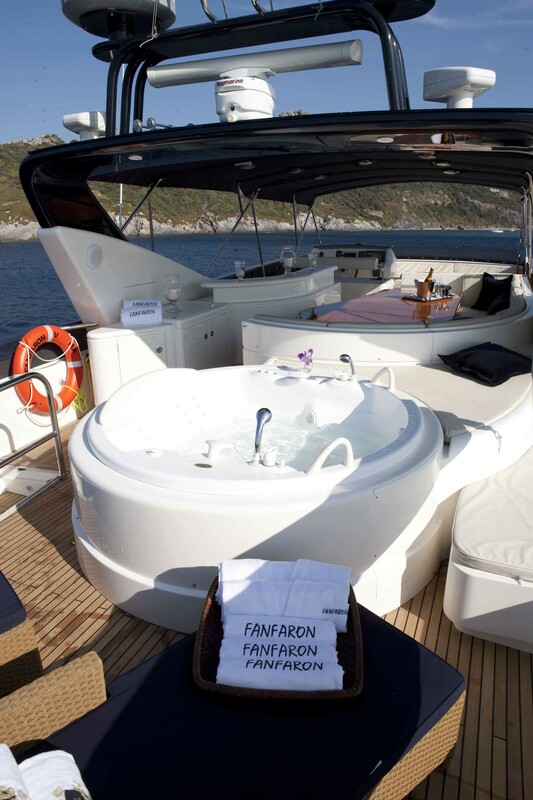 Above the main deck, the flybridge is the gem of outdoor relaxation with an additional alfresco dining/cocktail option, a wet bar, further sunpads and a Spa Pool tub. 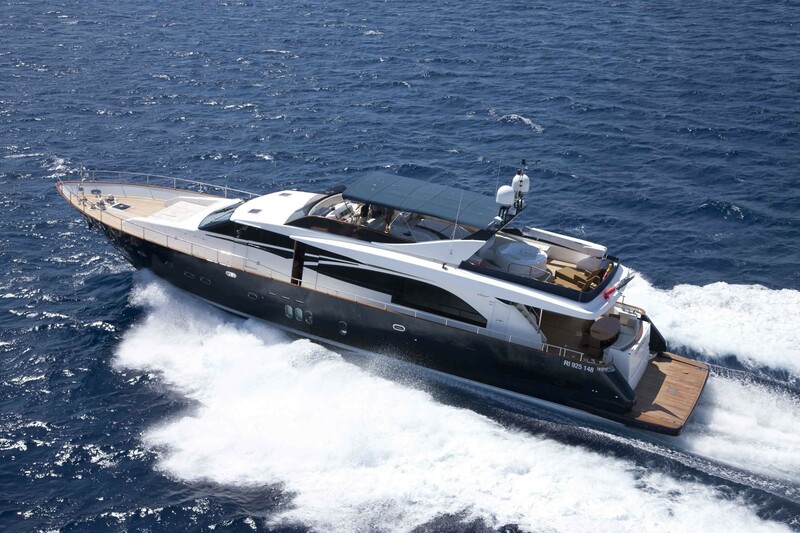 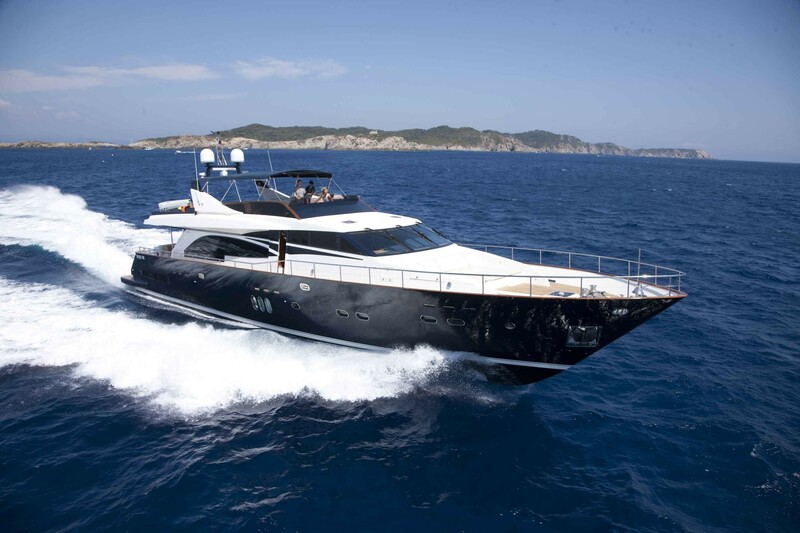 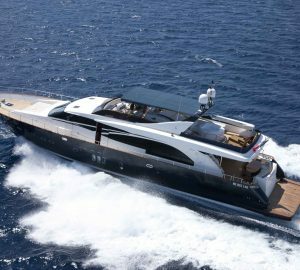 M/Y LADY AMANDA has a beam of 6.57 meters (21.6ft) and a draft of 1.75 meters (5.7ft) and cruises at speeds of 26 knots with maximum speeds of 30 knots. 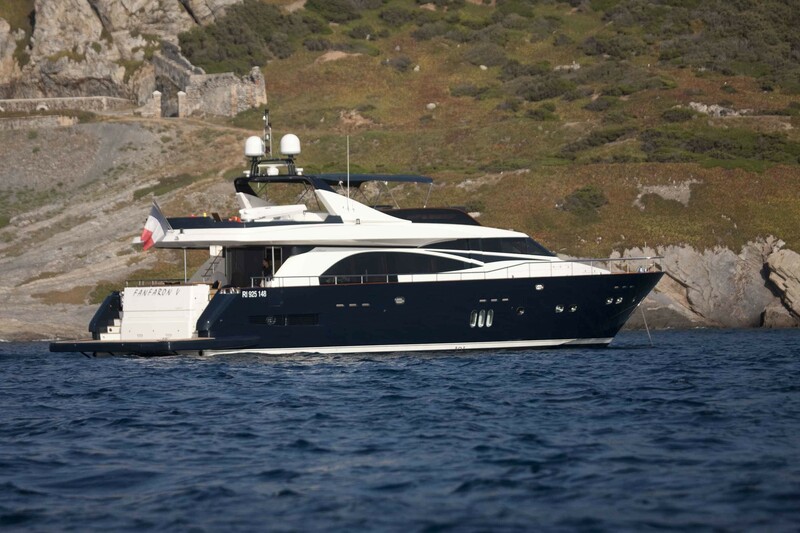 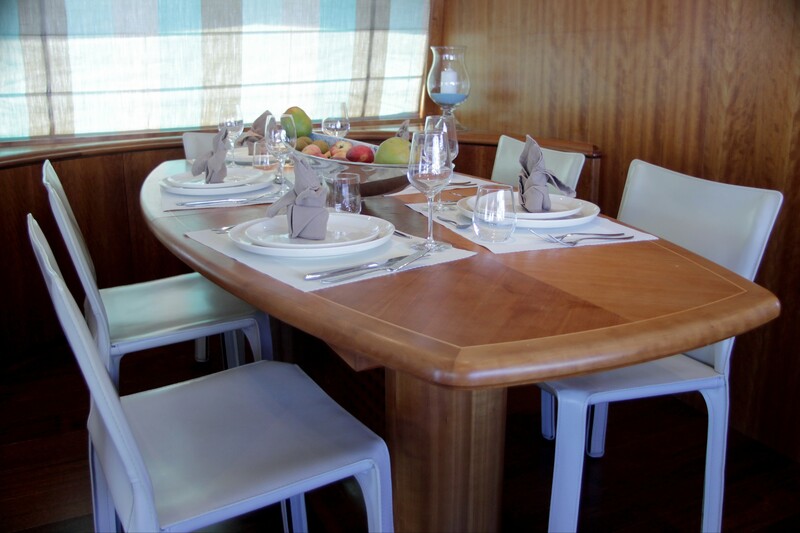 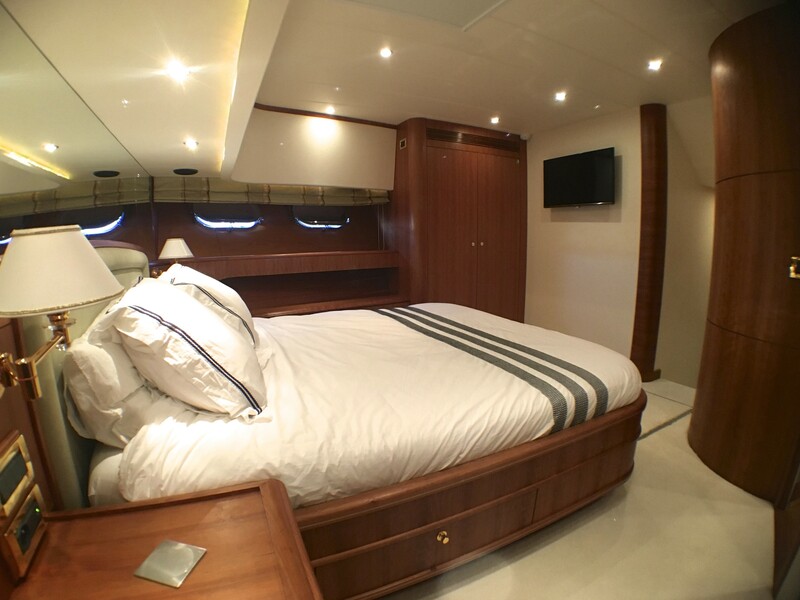 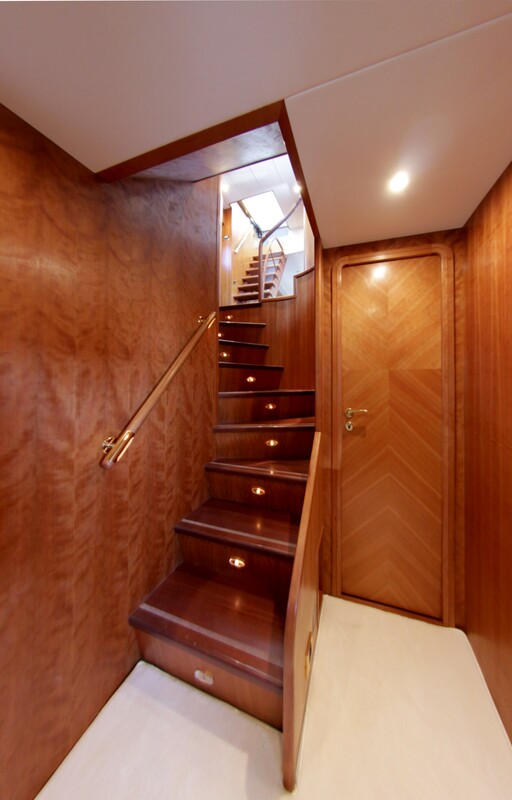 Charter yacht LADY AMANDA comfortably accommodates up to 9 guests in 4 spacious double cabins. 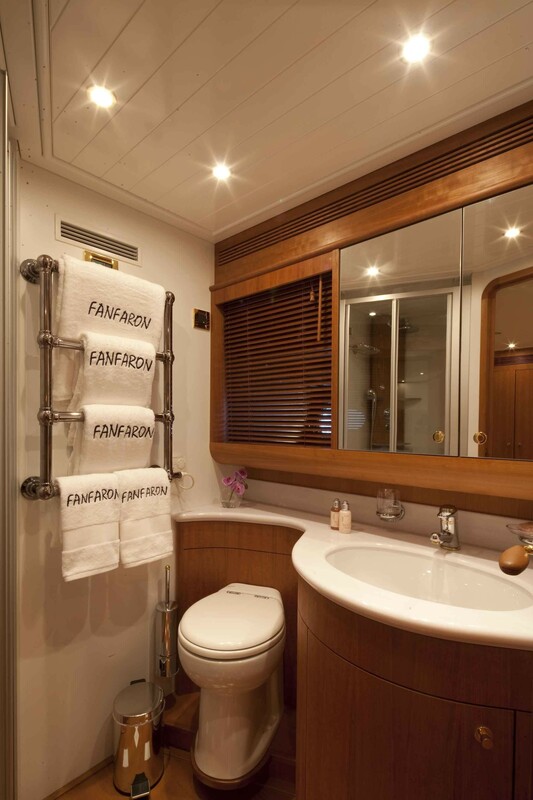 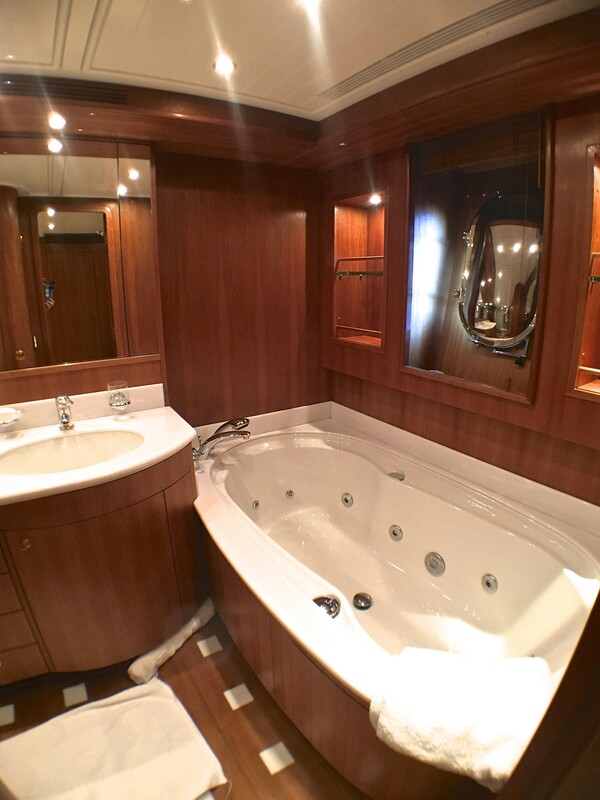 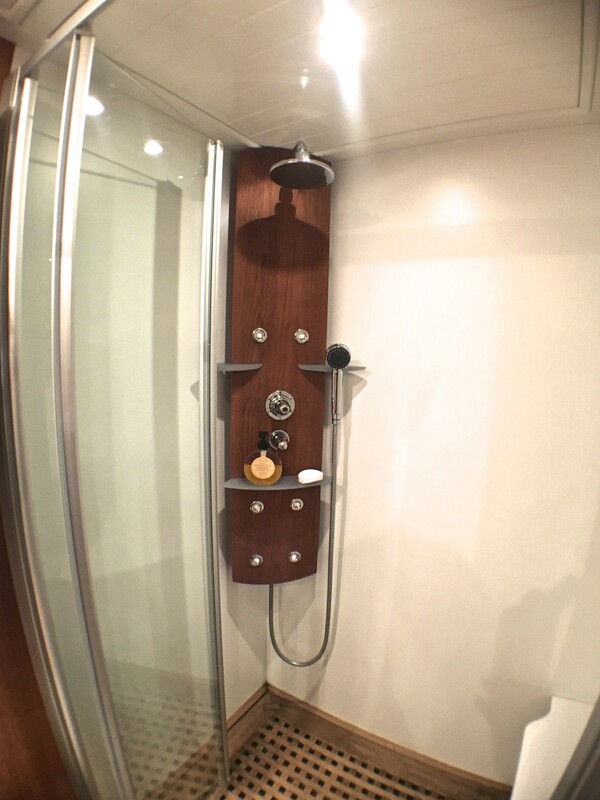 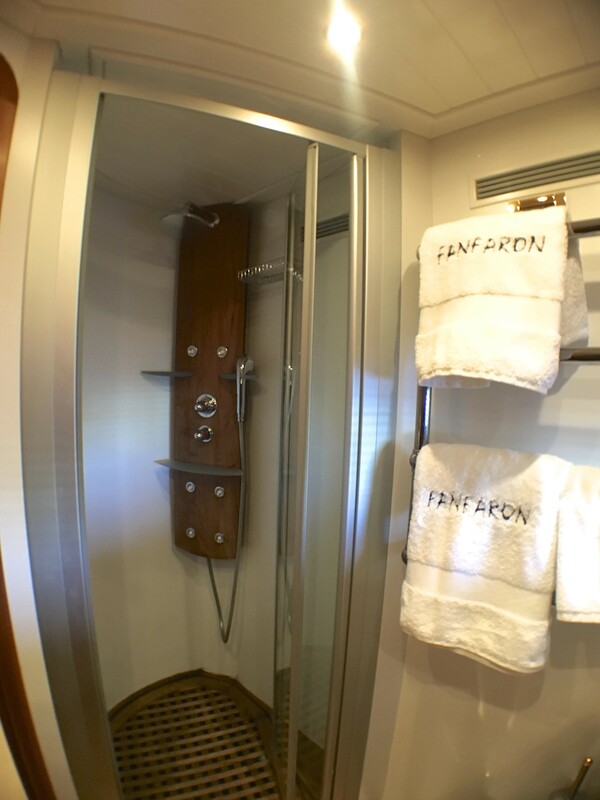 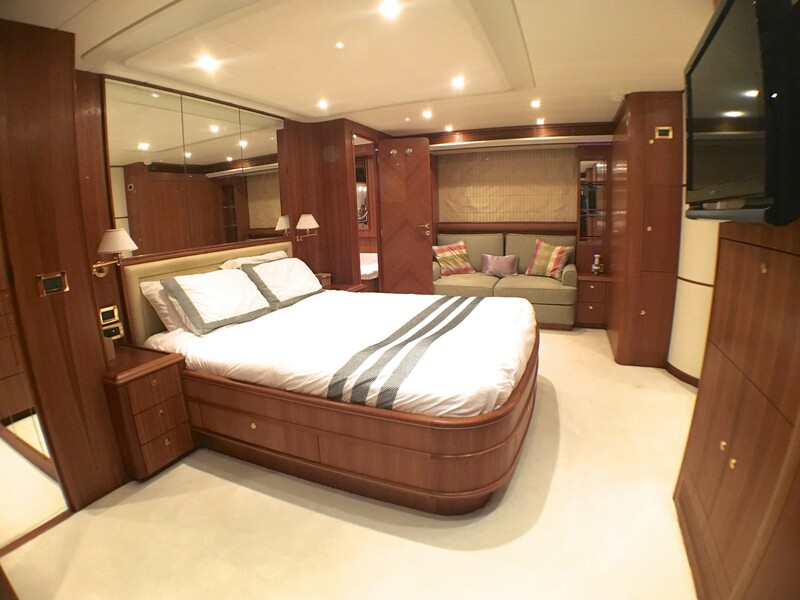 The master suite features a double bed, sofa, his and hers sinks, en-suite facilities and spa tub, the VIP cabin offers a double bed and en-suite facilities with shower, a further 2 double guest cabins offer double beds and en-suite facilities. 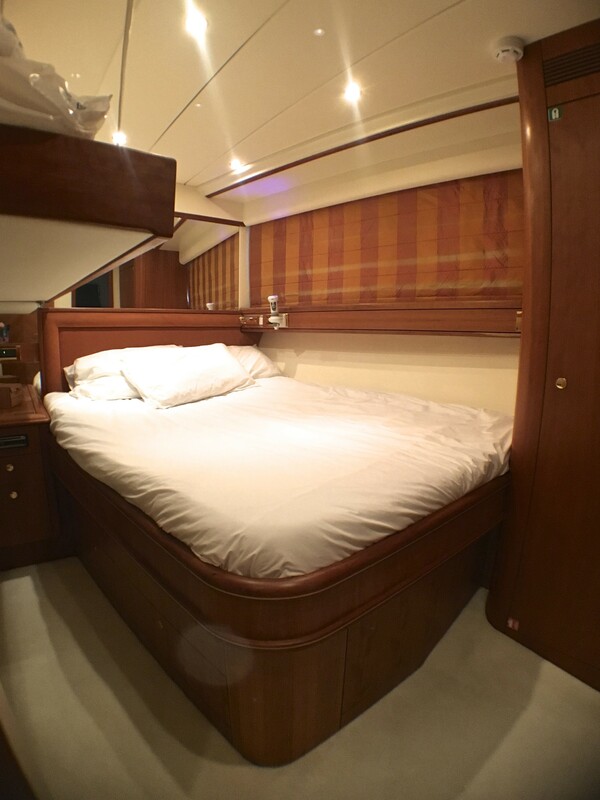 1 Pullman berth is available for a ninth guest. 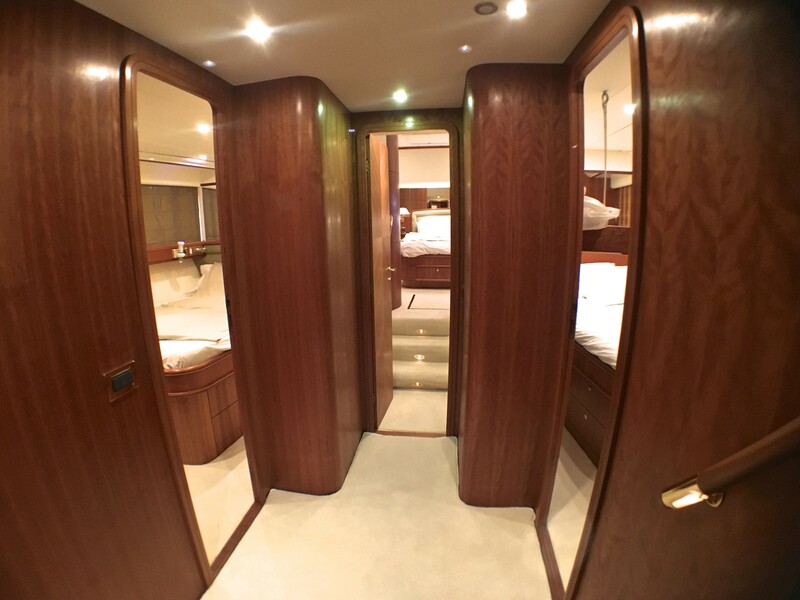 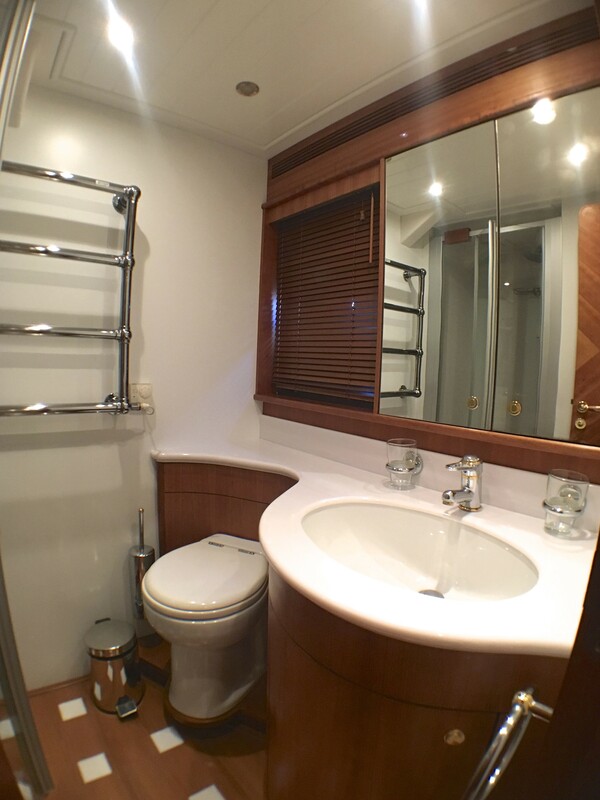 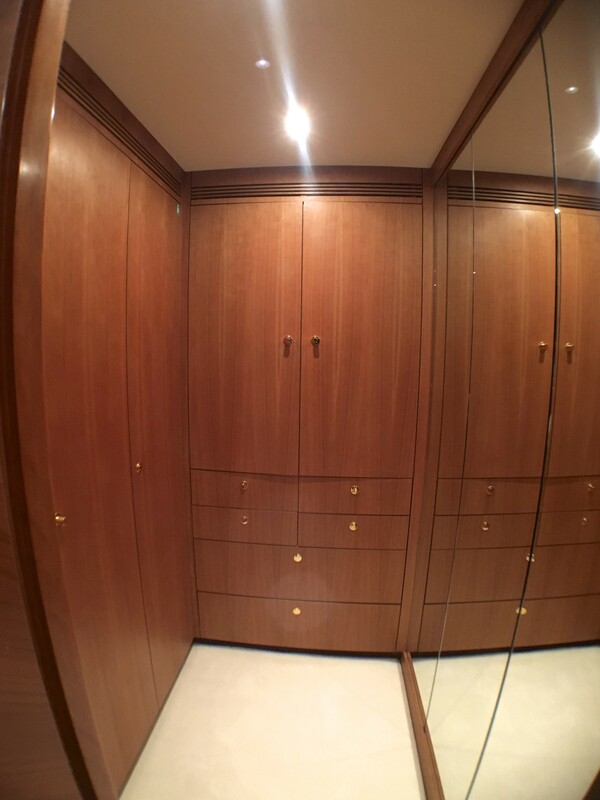 All cabins are fully carpeted and enjoy natural light through wide windows. 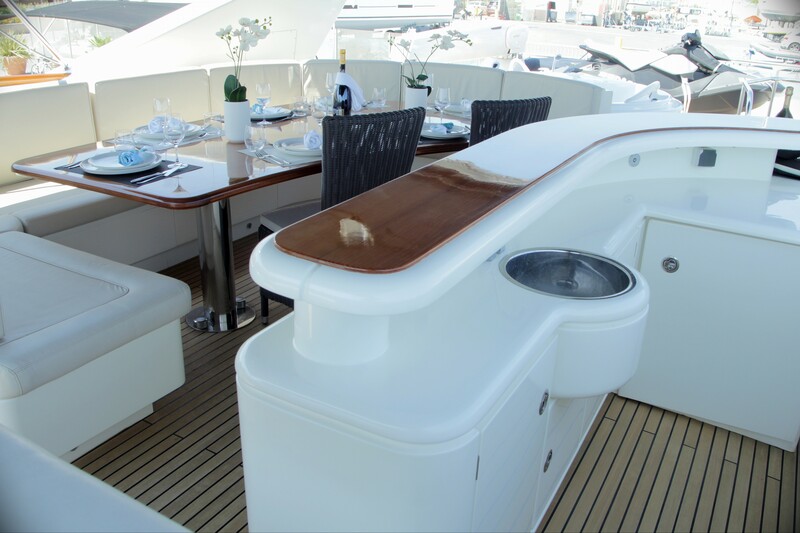 The LADY AMANDA motor yacht has these Tenders & Toys: Tenders + toys: Two 5.5 metre tenders Williams Turbojet 445 Arimar Tender Sea Pionner 4.70 SeaDoo Spark Jetski 2 x F5 Seabobs 5 meter Slide Ocean Pool with Jellyfish Protective Net Drone Paddleboard, Snorkelling Equipment, Waterskis, Wakeboard, Doughnut, Balloon Blast. 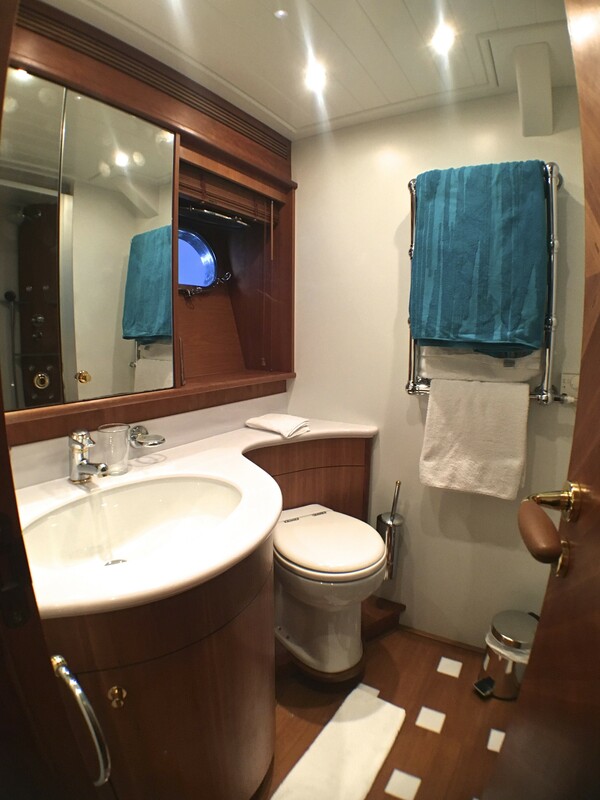 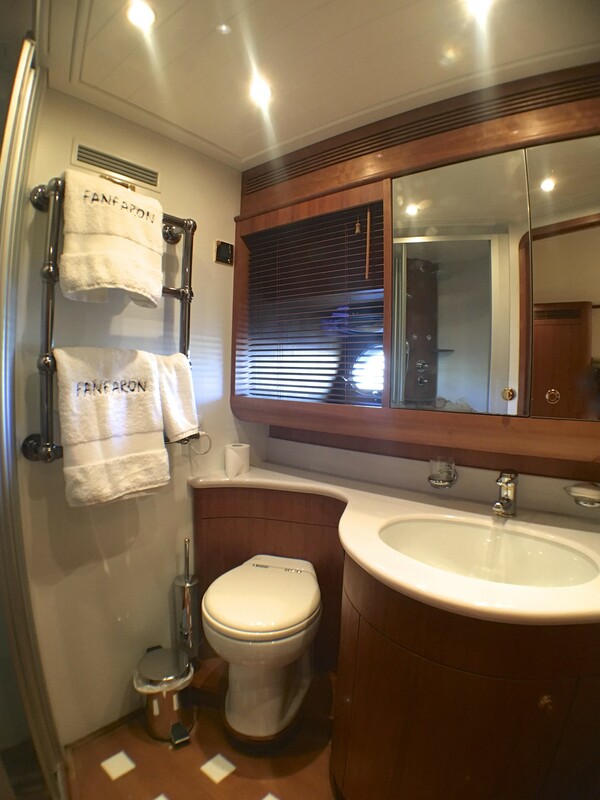 Communications include WIFI (3G), Audio Visual Equipment and Deck Facilities include Bose Entertainment system, DVD Players, Home cinema in Master cabin.